IMPORTANT SHIPPING INFORMATION FOR THIS ITEM – PLEASE READ BELOW AS THIS IS NECESSARY TO KNOW BEFORE ORDERING!!! 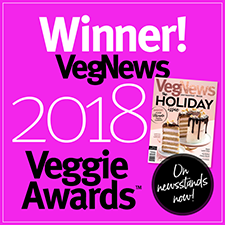 Millet Tots are the only non-potato whole grain tot on the market, giving you a healthy vegan and gluten-free crispy bite comfort food that's truly good for you! 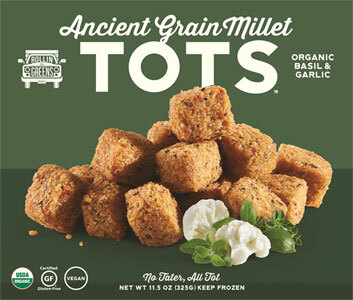 Free of the top 8 allergens, Millet Tots are made only with simple, GMO-free organic ingredients and do not contain any binders, fillers, batters or artificial ingredients, giving you the best in every tasty bite. Made with the perfect balance of authentic Italian seasonings to make these tots extra-tasty, just bake them at 375 degrees for 12-15 minutes for a batch of hot and crispy Millet Tots, and they cook up perfectly in your air fryer, too! 11.5 oz. 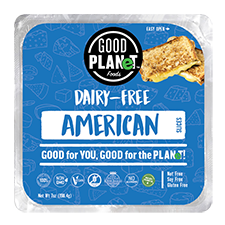 (325g) packages are $5.49 each.